Fans of the classic ‘Peanuts’ comic strip were treated earlier this year to a quick teaser of an upcoming film based on the franchise, showing off Charlie Brown and Snoopy in the film’s new animated CG style. With 2014 coming to a close in the coming weeks, and with 2015 marking the 65th anniversary of the franchise, the very first full-length trailer for the Peanuts movie has been unveiled! 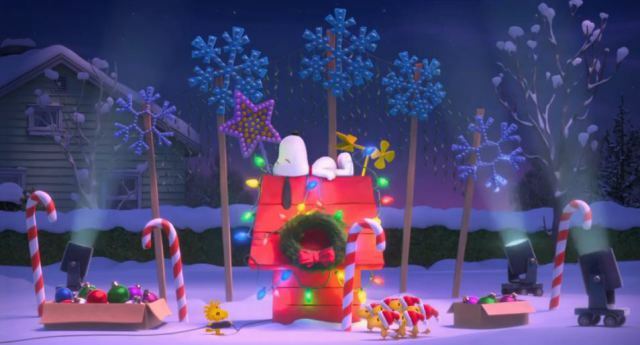 The trailer shows off Snoopy and Woodstock enjoying the holiday season, and reveals that the movie is scheduled to release on Christmas 2015, just in time to celebrate the classic cartoon’s anniversary. Check out the video below to see these beloved characters in action!